“Adult Stuff” book available April 5th! 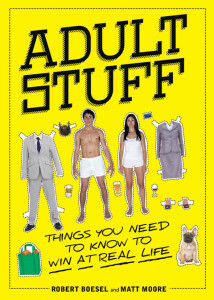 My funny self help book, Adult Stuff: Things You Need to Know to Win at Life, is available in bookstores April 5th. © 2017 Robert Boesel. All Rights Reserved.